At work I have been labeled the cupcake queen. Whether I deserve this title or not is yet to be seen. All I know is that I make cupcakes a lot. One of the lovely ladies I work with actually put in an order for her friend’s birthday and I thought I would show you what I made. 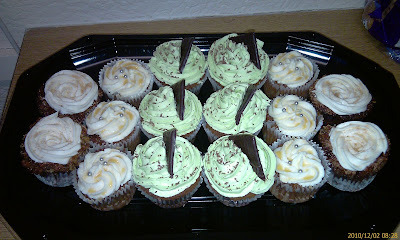 I made three different varieties of cupcakes for her. 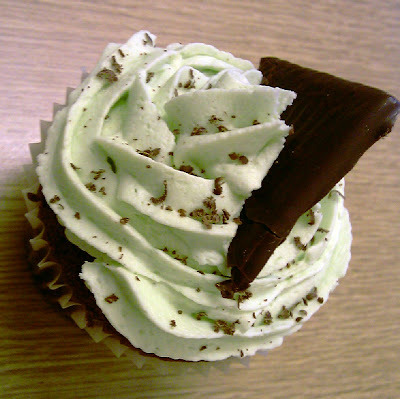 The first were these Mint Chocolate Chip Cupcakes with lovely green mint frosting. 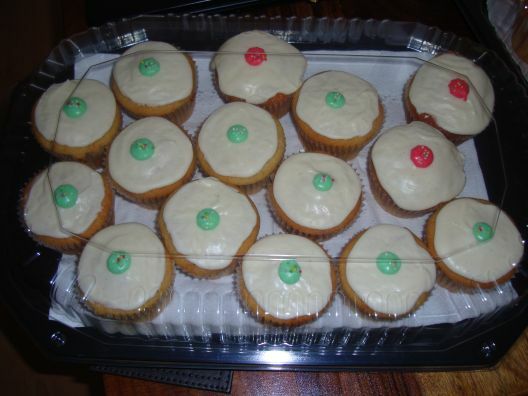 Then these Cinnamon Swirl Apple Cupcakes with Maple Cream Cheese Frosting. ohh.. lovely appley mapley gorgeousness! 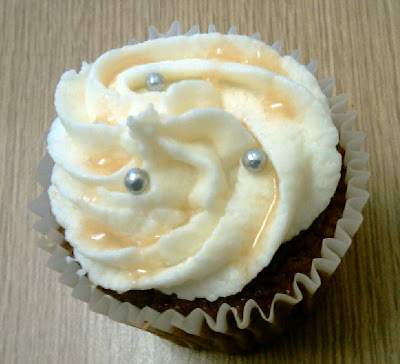 Then these Caramel Pear & Ginger Cupcakes with vanilla bean buttercream. I can tell you that they are all delicious. 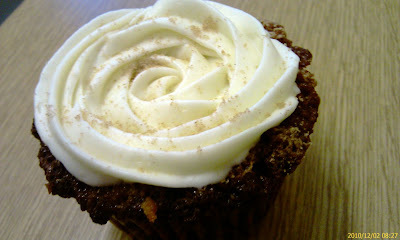 In fact, I had to clear some frosting off my greedy fingers to type this post!! Go and try the recipes! They are LOVELY!! !